The GroLab™ central controller. GroNode manages all the GroLab™ modules while allowing you to configure any automation procedures based on sensors and devices available. Executes hundreds of instructions and stores a large amount of data regarding of your grow variables. 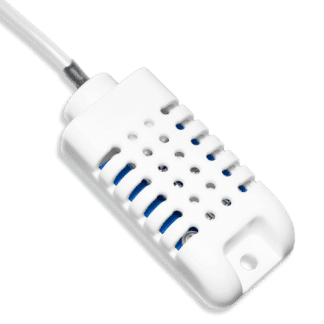 It is the heart and the brain of entire GroLab™ system. 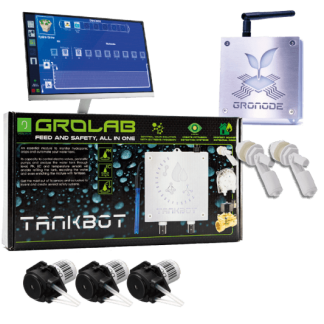 1 – GroLab software, manuals and video tutorials in English and Spanish. *Each GroNode can control a max of 4 PowerBots, 4 TankBot’s, 4 SoilBot’s adn 4 UserBot’s. 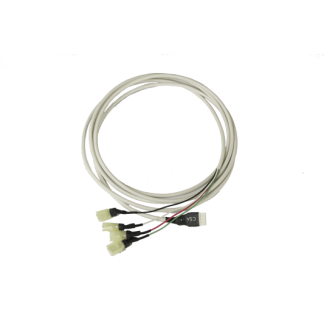 A state of the art growing unit that interacts with other GroLab™ modules simulating the operation of a brain. 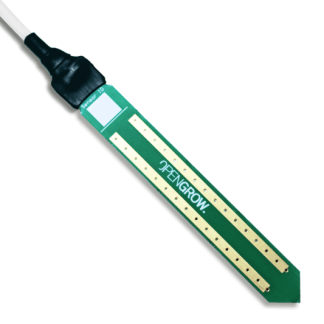 It is capable to execute hundreds of instructions and to store a large amount of data allowing a detailed analysis about the life cycle of the user’s plants. GroNode will do all the hard work for you and will notify you if a risk situation arises. The only limit to GroNode is your imagination. GroNode is a powerful computer that can do hundreds of tasks by itself. You don’t need any PC or other third-party device connected to GroNode for it to continue working. 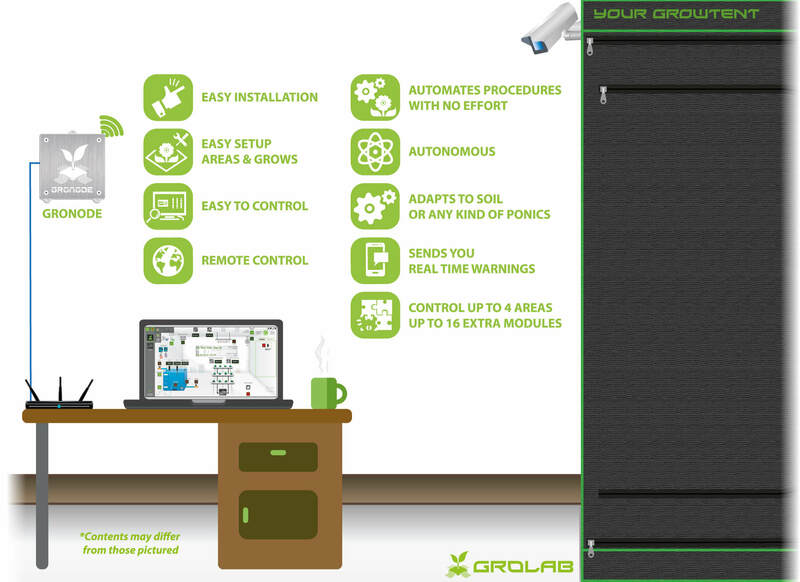 Using GroLab™ Software user can monitor, and analyses the climate variables and the devices current state in real time. Charts, grow(s) overview and manual control are just some perks you can use. When you provide Internet connection to GroNode it can send real time alerts and updates to your e-mail, keeping you updated about the state of your grow(s) anywhere, anytime. When connecting the GroNode to a router with an Internet connection, it allows you to activate the GroLab™ system’s remote control. This feature grants user access from anywhere at any time through an easy-to-use software. Allowing to fully control all the modules. There are two main types of programmable procedures, alarms and schedules. 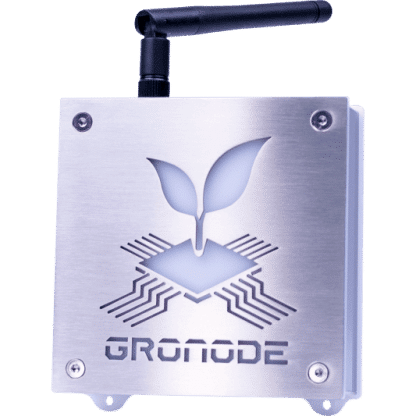 GroNode has the ability to store and execute up to 100 of each type allowing a precise and extensive automation of any grow(s). 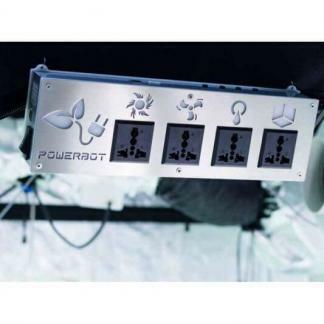 GroNode is the core of the GroLab™ modular architecture, it is capable of controlling up to 4 modules of each type (PowerBot, TankBot and SoilBot). This makes it easily adaptable to any grow regardless of its size, type, growing medium or growing system. All GroLab™ communications are protected by several security layers, securing your valuable data. By using Open Grow™ private server, your E-mail notifications are also secured, not letting anyone pinpoint your grow(s). GroNode have its own memory that is capable of storing hundreds of thousands of data. With data-logging and data-visualization features, it is possible to do a detailed analysis about the life cycle of the user’s plants. Connecting GroNode to the Internet allows the user to configure a cloud server to periodically upload the data-log from all sensors/devices.